Reluctant approval from Congress for providing military support to Syrian rebels allows the Obama administration to move forward with plans first announced almost six weeks ago. 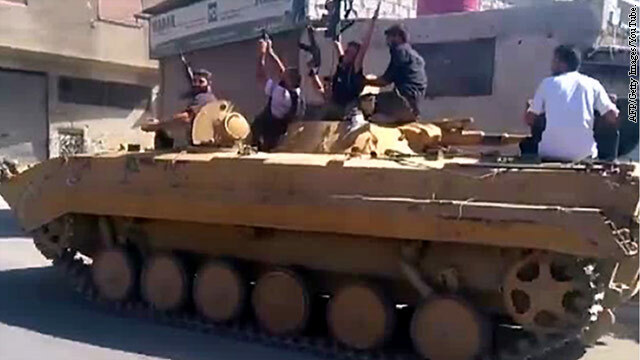 White House spokesman Jay Carney told reporters on Tuesday that the goal of the military aid expected to include small arms, ammunition and perhaps anti-tank weapons is to keep the Syrian opposition going against forces aligned with President Bashar al-Assad's regime. Noting al-Assad's forces have been helped by Hezbollah in Lebanon as well as Iran, Carney said Syrian rebels need the help of the United States and allied nations to withstand an increased assault. "The aid is intended to help the opposition resist Assad and eventually prevail," Carney said, adding that any resolution of Syria's civil war will require a political transition. 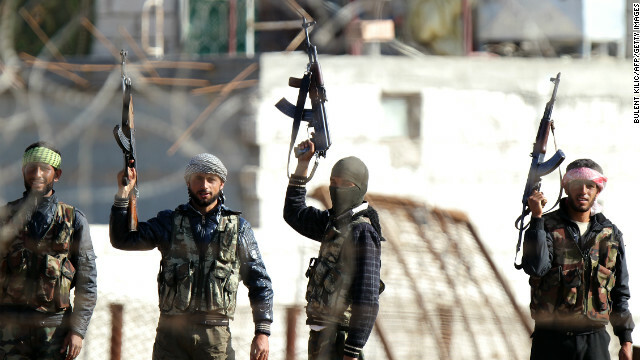 The United States is closely watching how rebel forces operate inside Syria, and what their end objectives might be as the Obama administration weighs whether or not to provide arms to the Syrian opposition. "Will providing arms to the opposition convince the people who support [Syrian President] Bashar al-Assad, in many cases because they are afraid of their own existence, or will it simply lead to more fighting - that is the question that we are considering," Robert Ford, the U.S. ambassador to Syria, said during a panel discussion in Washington on Thursday on the crisis in Syria. "Arms are not a strategy, arms are a tactic," Ford said about the deliberation the administration is undertaking on the question, and that a "military solution" is not the best path forward for Syria. "The president has never taken the provision of arms off the table," he said. "And so, as we think about our policy of sending arms or not, and today we do not, we want to make sure that tactic plays into and helps us achieve a strategy of enabling the Syrian people to reach a political solution." 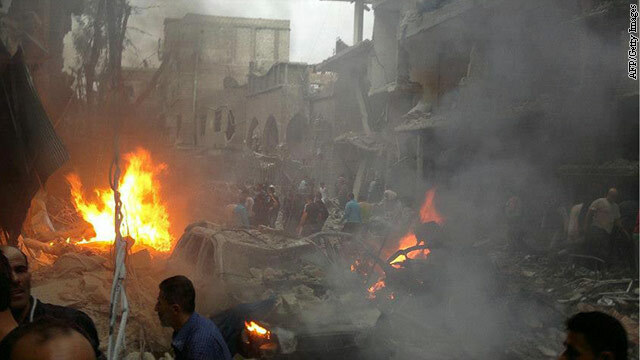 A handout picture released by the Syrian Revolution General Commission shows Syrians inspecting the site of a car bomb attack in the Daf Shawk district of Damascus on October 26, 2012. U.S. officials are relieved now that Syria's disjointed opposition has finally succeeded in creating a united front. "What happened over the weekend was huge," a senior administration official told CNN. "I think it's fair to say that most of us were pessimistic, but the opposition did it. They have a long way to go, but this was a major step forward." Nevertheless, the official admitted: "We are cautiously optimistic at best." The United States has been pressing the opposition to unite and officials now say the Obama administration is urging the new National Coalition for Syrian Revolutionary and Opposition Forces to quickly form a technical working group with which it can coordinate assistance. An umbrella group that fashions itself the head of Syria's political opposition should no longer be considered the "visible leader" of efforts to form a government to replace Bashar al-Assad, U.S. Secretary of State Hillary Clinton said Wednesday. Clinton said the Syrian National Council, which is made up mostly of Syrian expatriates cannot alone shape the future of Syria apart from those fighting and dying inside the country amid a civil war that has claimed more than 30,000 lives. 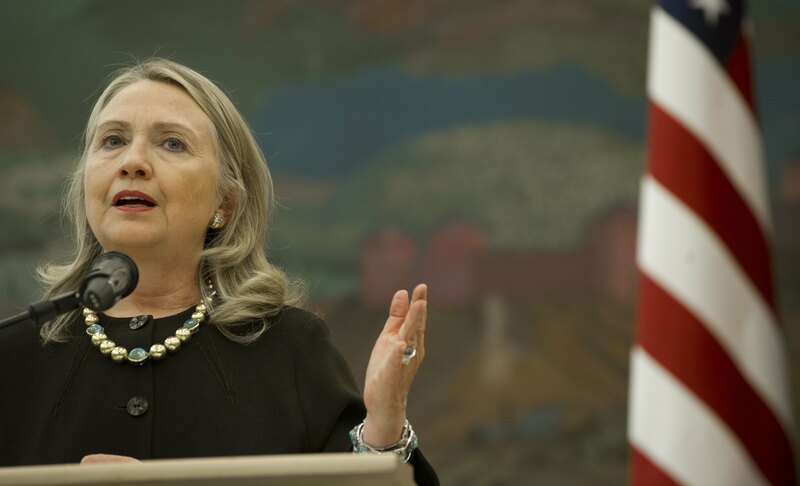 "This cannot be an opposition represented by people who have many good attributes, but have in many instances not been in Syria for 20, 30 or 40 years," Clinton said during a joint news conference with Croatian President Ivo Josipovic in Zagreb. "There has to be a representation of those who are on the front lines fighting and dying today." Her remarks come as preparations are underway for Arab League-sponsored meetings next week in Doha, Qatar, that will focus on the composition of a post-Assad political leadership in Syria. In the weeks before he defected from Syria, then-Prime Minister Riad Hijab put feelers out to contacts in the United States and other governments. In addition to ensuring his family got out of the country, Hijab wanted guarantees that he would not be persecuted for his role in the government of President Bashar al-Assad, U.S. officials say. 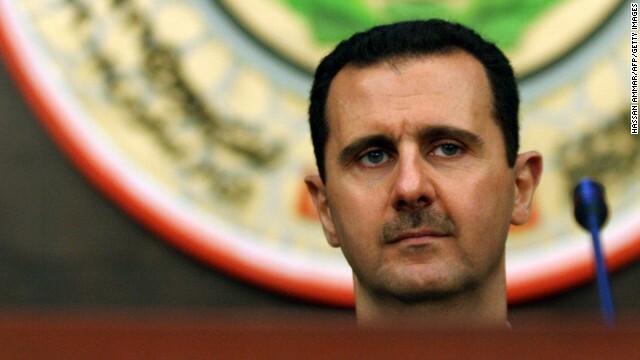 "He wanted assurances from the opposition that a post-Assad Syria will take into account all Syrians, including minorities, and there will not be revenge attacks on those who at one time supported the regime," one administration official said. The official described Washington's role as that of a "middleman." The United States was able to produce a chorus of voices from the Syrian opposition promising that Syrians planning for a post-Assad transition are committed to ensuring human rights for all Syrians, including minorities. But that's far from a guarantee for Hijab or for any defector. 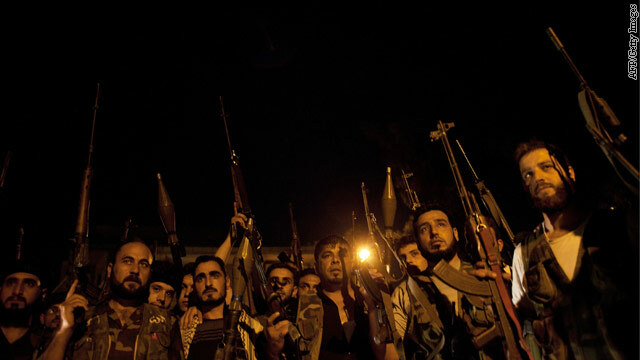 Syrian rebels prepare to advance into the Salaheddin district in the northern city of Aleppo to fight against forces loyal to the government on August 4, 2012. 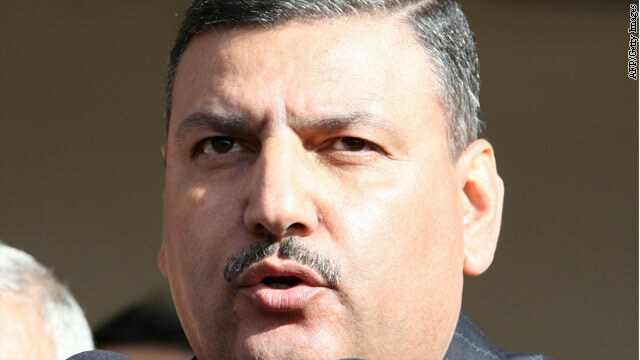 As news broke Monday that Syrian Prime Minister Riyad Hijab had defected, the U.S. State Department said it was "encouraged," describing Hijab as the "highest-profile official to defect from the Assad regime." "When the prime minister of the entire government defects, that's clearly an indication that they're on the way out," acting deputy spokesman Patrick Ventrell told reporters. But experts on Syria aren't so sure. "The prime minister in Syria is the head of the government, but the government in Syria doesn't rule the country," Andrew Tabler of the Washington Institute for Near East Policy told CNN. "It's the regime, and the regime includes the security services, the army and the members of the Assad family." Fifteen months into the crisis in Syria, and the Obama administration is, as one U.S. official describes it, in "a holding pattern," waiting for Russia to abandon its support for President Bashar al-Assad, waiting for sanctions to topple the economy and waiting for an organized Syrian opposition to present a coherent vision for a post-Assad Syria. Senior officials say the international monitors provided for in the current agreement with the Syrian government, however small in number, offer a small buffer against Assad's forces. Additionally, the U.S. and its allies on the U.N. Security Council want Russia to come to its own conclusion that Assad is not living up to his end of the agreement in ceasing the violence, and the plan is a failure. The concern is should the U.S. push for the next step, it would further alienate Moscow, which is skeptical about efforts to push out Syria's president. How the plan fails is as important as when it does, Western diplomats said this week. "You have the politics part of this plan, and you have what is really happening on the ground," one U.S. official said. "We are going to be in a bit of a holding pattern for a while, debating on whether this has succeeded or failed, and whether it was designed to fail."